Teachers and Trainers – Learn how to design and develop highly effective instructional materials for courses. Instructional Systems Design is the process of designing and developing instructional courses or materials that bring greater efficiency and effectiveness to acquiring knowledge or skills for learners. This course in Instructional Systems Design reviews important aspects such as learning theories and learning objectives and how they influence the design process. It also reviews the role of memory, needs analysis, and design models such as ADDIE (Analysis, Design, Development, Implementation, and Evaluation). Robert Gagne's Nine Events of Instruction are also discussed with examples of their application and use. Finally, learning technologies and how they are used to deliver training are reviewed, as well as techniques for measuring and evaluating the effectiveness of the instructional materials. 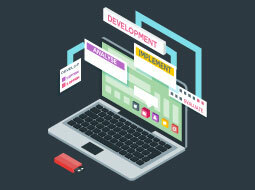 This course will be of great interest to all human resources, teaching and training professionals who are involved in training, instructional design and e-learning, and who would like to learn more about important aspects of instructional systems design and their use and application in designing and developing highly effective instructional materials for courses. Learning outcomes: - Understanding and using instructional models such as ADDIE; - The role of learning theories and memory in learning; - Using needs analysis and subject matter experts to design instructional materials and courses; - Using Gagne's Nine Events of Instruction to design effective instructional materials; - Using learning technologies to deliver training; - Measuring and evaluating the instructional materials.